With sous vide machines being the wave of the future in cuisine, it is easy to get lost in the mountain of new models coming out every month. The Chefman Sous Vide Precision Cooker is just one of a bundle in this space, so how does it stack up against its adversaries? This pole looking cooker is more than meets the eye, as it is very direct and user friendly in its interface. The black exterior is paired with a temperature control gauge in the middle where heat is calculated accurately. As for its nuts and bolts, the Chefman Precision incorporates a PTC heating element that is high in quality, which of course is most prudent for this type of cooking. The LCD display is touch screen and comes with smart sensors that can let you know when your water level becomes problematic. The 360 directional pump makes it effortless to work around your meats and proteins. Moreover, the clamp is adujustable, which is preferable because it can attach to containers of any size. By far the biggest proponent of the Chefman Sous Vide Precision Cooker is how few items you need to create a perfectly cooked meal. Water, a pot and your proteins in a vacuum sealed bag are all you need in your arsenal to make restaurant quality food over and over. Additionally, the Chefman is easy to calibrate which makes it simple to replicate your favorite dishes once you find the flavor profile you prefer. The submerged circulation technology utilized is of paramount importance because it guarantees that the inside of your meats, veggies, and even eggs never rise above internal heat that will adversely alter its flavor. 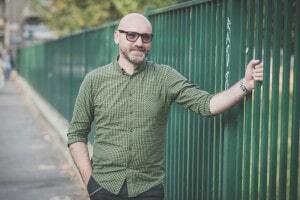 Even the most seasoned chefs will tell you that getting an even cook on meats, particularly ones like duck and turkey, can be arduous without experience. The Precision Cooker completely eliminates this concern and intelligently monitors the desired temperature until your cook is completed to perfection. A cool and clever addition to the Chefman Precision is its recipe app, which can be downloaded by Android and Apple phones. The guided recipes are very thorough, with step by step instructions as well as how to videos. There are even recommendations on temperature, and tips to get the most out of your flavors. It also includes access to Club Chefman, which provides a wealth of cookbooks and advanced training. An especially neat aspect of this group is that customers can ask world-class chefs questions related to what they want to prepare. A one year warranty can put clumsy cooks at ease knowing Chefman proudly provides durability and safety technology that never misses a beat in notifying you of potential hazards. 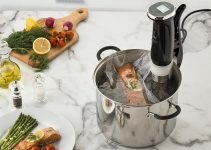 A drawback to the Chefman Precision Sous Vide Precision Cooker, similar to other models in this space, is the time it takes to prepare a meal. If you are already familiar with sous vide, this is likely not an issue, as you already know what you are getting into. However if you are in the boat of wading into these waters, keep in mind that with added flavor comes longer preparation. For example, poultry like chicken can be made in about an hour and a half with the Chefman, which is obviously almost 60 minutes more than ‘traditional’ oven cooking. That said, the whole experience of using a sous vide machine rests on how succulent and flavorful your meats are (among other delicious recipes), so additional time is welcomed. Also, it should be noted that some items you use in conjunction with the sous vide cooker will need grilling or broiling on top of this process. 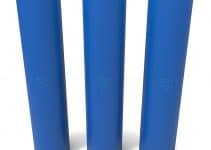 This can give some people pause, as it is an extra step to allot time for. For beginners, the cook times can be a bit misleading. Even though for the most part the cooker is ‘set and forget’ you need to be aware of the fact that the recipes are general recommendations that will not line up precisely with every piece of food you match it with. An example of this would be thick slabs of beef or steak, which will obviously need additional minutes to thoroughly render irrefutably delicious results. Moreover, sous vide machines are designed to produce cooks one item at a time, instead of, say, chicken and vegetables together. Because of this fact, you will want a game plan as to how to allocate your time before serving every part of your meal together. 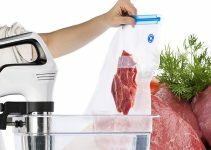 Word of mouth in best sous vide vacuum sealer reviews mention the luxury of having the Chefman Precision cook such a wide range of delectable eats like seafood, steak, poultry and vegetables. Variety is understandably a big point of contention for chefs, so its ability to work with so many types is a positive. Additional word from the kitchen on this item is that it works seamlessly in unison with additional cooking utensils because so few problems arise from its use after setting the appropriate temperature. 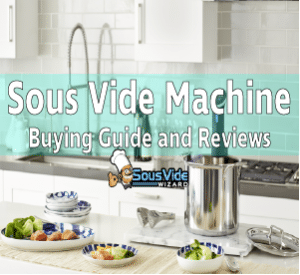 Most people do not realize that the best sous vide machines have been used by culinary experts for years, and it is almost a hush-hush type of agreement that few home chefs know about how wonderful they are in preparing an assortment of meals. Sous video reviews don’t mention enough that the Chefman is actually a very adaptable cooker because not everything has to be to standard to deliver excellent quality. For example, vacuum sealed bags are recommended for placing your food items into before being submerged, but even simple Ziploc bags around the house can be suitable for this task. If you are seeking an accurate, enjoyable cooker with a small learning curve, the Chefman is worth reading up on.